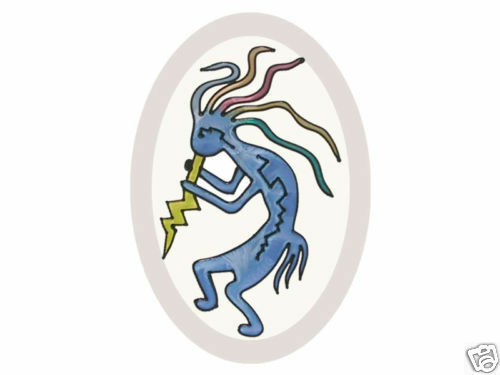 "KOKOPELLI Stained Art Glass Suncatcher" A colorful Kokopelli figure dances softly upon this sparkling suncatcher. Created on 3/16" thick beveled glass using brilliantly colored crystalline, frosted and translucent lacquers, this hand-painted oval-shaped suncatcher measures 9" high x 6" wide. Comes with a cord for hanging. PLEASE NOTE: Shipping ONLY within the continental U.S. **Hawaii, Alaska, and Puerto Rico must contact seller for shipping quote before ordering.